The Future seems to hold limited possibilities for Son Erby. The African-American child of a farm laborer in 1930’s Tennessee, his fate seems as certain as the sunset at day’s end. But when his father takes him to work at the Coleman farm and hands down the secret to making corn liquor, everything changes. Moving from shadowed parlors of the wealthy Sawyer clan to the illegal activities in the woods along the Mississippi River, this perspective novel explores the roots of racism, and the dangerous power of secrets that will shatter every taboo in a sleepy town caught between the past and future. 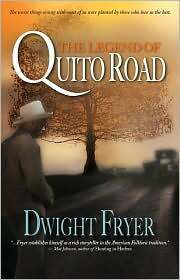 The Legend of Quito Road is a look at a bygone time, the sobering echoes of which can still be heard today. In the scene below from The Legend of Quito Road, Papa Gill Erby, a religious man, teaches his only boy how to make illegal whiskey and keep secrets. Are there really many spiritual or physical differences in making crack cocaine or crystal meth today and white lightning yesterday? “Whiskey?” the youth said, twisting his face. Papa Gill placed his left hand inside his overalls and a strained silence surrounded them from the naked roadside underbrush. Only the noises of the mule team’s hooves and the slicing sound from the steel-lined wagon wheels echoed along sandy Quito Road. Son’s breath trails thickened in the winter air as he did the math in his head and pondered the economic possibilities. On that farm, Mr. Conrad and Mr. Rafe Coleman raised cotton, sorghum and corn—corn so sweet that Son liked to eat it straight off the cob in the field during the summer months. You could use corn for feed or you could grind it into meal. But during this third week of December in 1932, thirteen-year-old Son Erby learned you could use corn for something else. That week, Papa Gill taught his son to make white lightning like Gillam Hale had showed him. Making illegal corn liquor changed everything for that colored boy. Son was never the same. He learned a secret science and he learned it well. Dwight Fryer shares from his twenty-five years of business experience in leadership, technology, finance, accounting, marketing and publishing. He has written two critically acclaimed novels. The Legend of Quito Road and The Knees of Gullah Island. Dwight speaks about life, healthcare, business, leadership, history, literature, community and storytelling. The University of Memphis teaches The Legend of Quito Road in its Masters of Fine Arts Program in the English Department. Till the time we come together-Again. We too will be blessed. And the Love of Giving. Thankful copyright (c) Doris Washington, November 2010. All rights reserved. Doris Washington is a spiritual writer, author, poet, and disability advocate who resides in Harrisburg, Pennsylvania with her husband and son John. Doris takes the inspiration from her poetry from an unfortunate incident that involved her 18-year-old son with autism, and two police officers in December 1993. This incident impacted Doris’ life greatly. She was empowered to advocate for a statewide program for police officers to be aware of and recognize persons with special needs. And it was through this period of Doris’ life her writing began. Her son is her inspiration to write. She has written over 450 poems about her closeness with God, spirituality, autism awareness, inspirations, positive thinking, social issues in our world, and greetings. She is an entrepreneur of DORIS’ POEMS. She does poetry readings at nursing homes, and residential home facilities, churches, and the community. Her poems continue to inspire many. Her desire hopes that her poetry will be an inspiration for the world. Lutishia Lovely grew up in a small Kansan town, and often had to rely on her own creativity and imagination for entertainment. Her childhood habit of long conversations with imaginary friends and fantasies of traveling the world have evolved into a satisfying career that allows her to indulge her passion for spontaneous jet-setting to parts unknown. She’s visited forty states and more than a dozen countries. My favorite holiday memory is from when I was eight years old. Christmas was coming, yet on Christmas Eve, there were only two or three presents under the tree, and none of them had my name on them! I was VERY concerned, and shared this anxiety with my mother. “Well, maybe Santa won’t come this year,” she said. “You’ll just have to go to bed and see what happens.” I tossed and turned, but sleep finally came. Seconds after opening my eyes the next morning, I threw back the covers and flew into the living room! Presents abounded under the Christmas tree! “He came! Santa came!” I shouted to my parents. I was soooo excited! My parents beamed, as my joy became theirs. What are the “traditions” for your family? For the past several holidays, I’ve begun making my own traditions. One of them is to give gifts to the homeless on Christmas morning, instead of receiving. Myself and a couple friends buy essentials and treats: socks, underwear, toiletries, etc., and also candy, toys and BOOKS, wrap them, load up the car, don a Santa hat, and drive around the streets of Los Angeles looking for people living on the street. We don’t go to organized places such as Salvation Army, rescue missions, etc. We find people sleeping on the street, tap them on their blanket, and when they come out from under the covers blinking away sleep, we smile, hold out the gift and say “Merry Christmas.” I can’t tell you how special these people feel, and how much joy I’ve gotten from this inexpensive act. They’ve been some of the best Christmases of my life. I am thankful for being a published author. It is one of the most challenging but rewarding things you can do in life. Being a self-published author puts you in complete control and it is nice. BPM: Tell us about your fondest holiday moment or event. Do you have Holiday rituals that absolutely, positively must be followed? It is all about the food. I love eating my way through the holiday! I used to be a flight attendant and on what I thought would be my first Christmas away from home, I pulled an all nighter and got home by noon on Christmas day. That was considered the best present by my family. BPM: Do you have a favorite holiday menu, story or song? Share with us. Menu – Turkey, sweet potatoes, homemade rolls, cranberry sauce. Story and song – The little drummer boy story and song. BPM: Tell us about your book, Hire Power: How to find, get, and keep a Job. My book is a non-fiction book for the Mature YA, with tips on job hunting, customer service and working in general. BPM: Have you ever considered what kind of legacy you want to leave future generations? http://www.andreafoy.com/ and Amazon.com. It is available as an e-book too, HERE. I am African American and my husband is French American. After almost 15 years of marriage we’ve had to make a conscious commitment to blend our two very different cultures together so that our two daughters have a more complete appreciation for the Christmas season. In the beginning while living in the United States, blending those traditions wasn’t very hard to do. However surprisingly, living overseas (first in France and now in Switzerland) has made this commitment a tad more challenging. For one thing, we are both traditionalists so we had to learn how to compromise. Below are some areas where we had to find common ground so that our children could enjoy two cultures and understand just how blessed they are to have an opportunity to experience both. Another notable change to our tradition was to serve our big Christmas meal on December 24 (the European way) instead of December 25. In exchange, this allowed me to introduce another one of my family’s traditions into the mix. We now eat Chinese takeout on December 25 instead of December 24! 1. Shop at the Christmas Markets on Avenue Champs Elysées (There are nine others to choose from located all around the city). 2. Shop at Galleries de Lafayette (If you’re brave, La Defénse is the closest thing Paris has to a shopping mall). 1. Visit Christmas Markets on Place St-François and Place Pépinet. Life is filled with random encounters and Ellery Roulet, a 35-year-old American PR executive living and working in Paris, has experienced enough of them to last five lifetimes. When betrayal, loss, regrets and even acceptance enters Ellery’s life at different times, she learns a great lesson: it is not what one experiences, but how one chooses to deal with those experiences that shapes the soul within. This bittersweet collection of tales shows just how messy and complicated life can be, and that sometimes there just aren’t any neat and tidy solutions at all. A virtual media and web consultant by day and author by night, Carolyn Davenport-Moncel moved to Paris from Chicago, her hometown, in 2001. She received her bachelor’s degree in Communications from Loyola University. Known for her online articles on media relations, Moncel owns MotionTemps, LLC, a Digital Project and Web Content Management firm with offices in Chicago, Paris and Geneva; and its subsidiary, Mondavé Communications, a media relations training and publishing company. 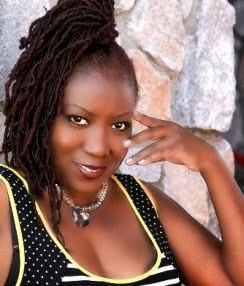 She has written, placed articles or been featured in such diverse publications as Entreprenuer.com, Expatica.com, Chicago Tribune, Forbes, Wired News, International Herald Tribune, Wall Street Journal, Bonjour Paris, Café de la Soul, PrissyMag and Working Mother. Ebony Canion is no stranger to adversity. In fact, her countless traumatic experiences in her childhood and adulthood have molded her to be strong, resilient, and faithful, in short—a survivor. broken. And it was then, healing in the hospital, that Ebony decided to share her story with the world. As an inspiration to all who know her, Ebony’s will to overcome, more importantly to survive, is unparalleled. She started a T-shirt company, Survival Story Tees, which empower others to let their scars tell their story. Ebony wants to show people all over the world that despite your scars—your journey and disappointments—they tell a story. Imagine having your innocence stolen at an early age by someone you trust, or struggling financially before even knowing the meaning of the word struggling. Ebony Canion has had her share of tumultuous events, yet even she was stunned when a speeding car hit her intentionally, dragging her through the streets with her body folded underneath the vehicle. In a coma for nearly two months, Ebony had no idea her tongue and face had to be sewn back on, or the list of thirty other life-threatening injuries she had sustained. Ultimately, Ebony had been Left for Dead. In this horrifying first-hand account of a survivor, Ms. Canion delivers a riveting story about overcoming tragedy throughout her childhood, and developing the will to live after numerous attacks on her life. Her strength to learn to walk, talk, and eat again will leave you spellbound and inspired. Her scars tell a story that must be heard and will have you never wanting to complain again. Firelight catches the Christmas tinsel in mid-dance, reflects its amber brilliance amid the bedazzled fir branches. Squeals of joy from children melds with their parent’s laughter. Families gather around the glow of the Menorah to give thanks. The seven principles of Kwanza renew a community’s spirit, its soul. Tis the season for warm wishes, merriment, family, food and thanksgiving. But, for many American families, this holiday season is marred by a new found, depressing reality. Family homelessness. The statistics are staggering. • Families comprise 40% of all who are homeless. • 42% of homeless children are under the age of 6. • According to the 2010 United States Conference of Mayors Report, family homelessness increased by 9%. • Families with children comprise one of the fastest growing segments of the homeless population today. The suspense thriller, Dark Side of Valor, delves into the harrowing world of teen homelessness. Lelia Freeman’s fictitious life of homelessness and tragedy are the real life experiences of many American teens. With the aid of her community, Lelia’s story ends in triumph. There is hope for families as well as youth and teens battling homelessness. Youth and family shelters, organizations that aid families in crisis and ordinary citizens engaging in random acts of kindness need our help. American families need our help. Donate. Volunteer your time. Together, America can defeat family homelessness. 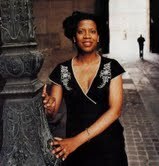 Alicia Singleton, an award winning author, was born and raised in Philadelphia. The Howard University graduate embraced the written word at an early age. She credits this to her loving older sister. Alicia resides in Maryland with her wonderful husband and son. Still an avid reader, Alicia is currently at work on a new novel. Visit her website at www.aliciasingleton.com.